6 in. White Recessed LED Trim (12-Pack) by Envirolite at N Online Agency. MPN: EVL6730AWH27-12. Hurry! Limited time offer. Offer valid only while supplies last. The EnviroLite 5 in. and 6 in. Recessed LED Trim (12-Pack) with clean and elegant design is ideal for glare free lighting in any room of the house. The EnviroLite 5 in. and 6 in. Recessed LED Trim (12-Pack) with clean and elegant design is ideal for glare free lighting in any room of the house. 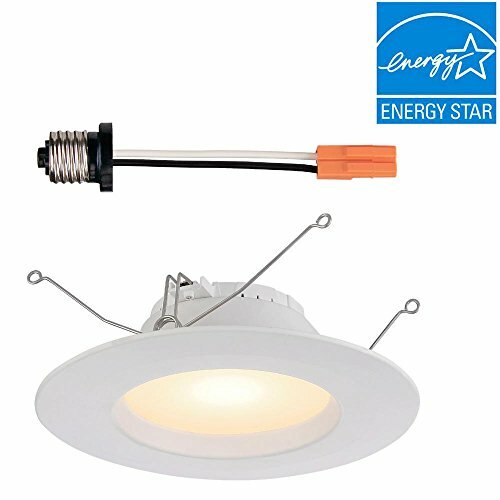 This ETL classified high efficiency dimmable Trim has received Energy Star Certification for year-round energy savings. If you have any questions about this product by Envirolite, contact us by completing and submitting the form below. If you are looking for a specif part number, please include it with your message. 6 x 240v Brite Source ECODL6 LED Downlight. 560 Lumen output. 3000k Warm white colour. 40 Degree beam angle. Dimmable. 55mm cutout. Water resistant. Brushed Steel fascia. Halo 4010WB White Recessed Trim with White Baffle, 4"